There is so much to write about our new design, Seraphina, but I’m going to let the beauty of the design speak for itself. Designed by Robyn Macready for our ISCD design collaboration in 2013, we’re delighted to finally share this stunning design. The design is art deco inspired with the inner plumage of the wing designed to resemble a colony of bees. I loved this design from the minute I saw it not just because I think it is fantastic design work, but the design itself speaks on so many levels. If you voted in 2013, you may have noticed that we changed the colour? We’ve been testing different colours all year and it wasn’t until we tried the bronze that I felt the design came to life. What do you think of our choice? Hoping you love it as much as we do! 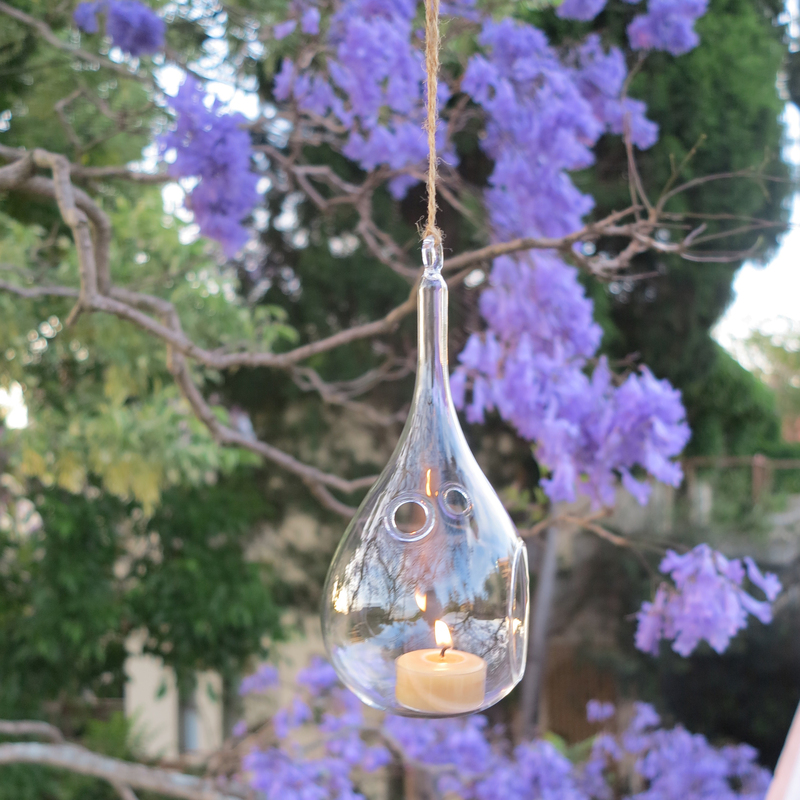 Continuing with our theme this week of all things ‘alfresco & outdoor candle lighting solutions’, another great glass vessel to protect your tealights from the breeze and cast more light (and more opportunities for me to explore the parks of Sydney!). Valued at $44.95, we’ve taken 20% off until 11.59pm on Thursday (27th November 2014). You can order the pack on the Queen B website here. With the mercury reaching 38 degrees yesterday in Sydney (and that’s on the coast) it was all about being outdoors last night to catch the breeze and that meant firing up tealights in protective glass holders so the breeze didn’t blow them out. And THAT gave me the inspiration for this post and another couple we’ll do this week with special offers to boot. 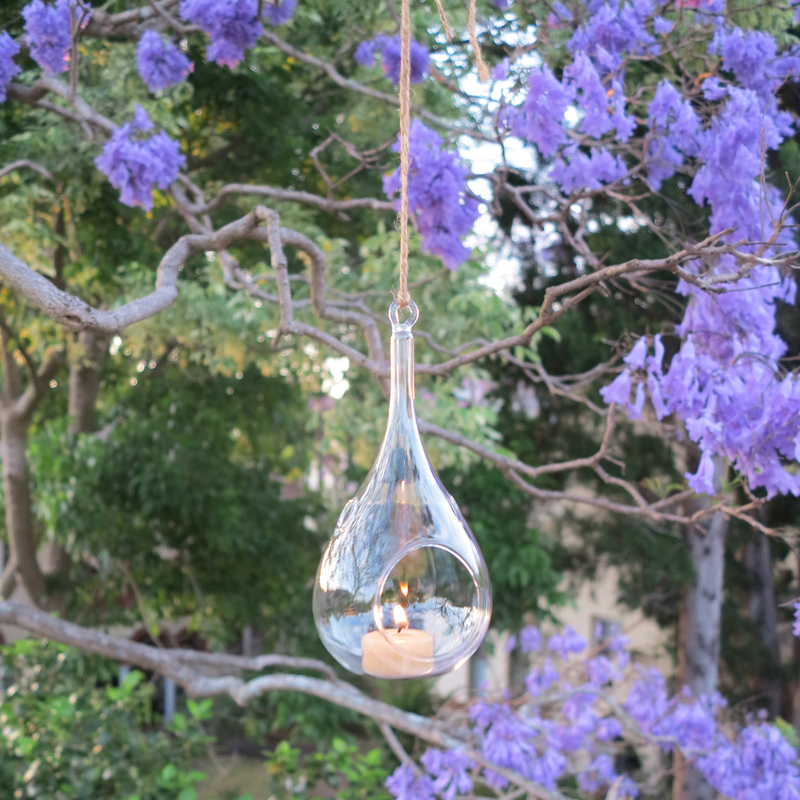 These beautiful, clear glass, hanging teardrop candleholders are incredibly versatile. 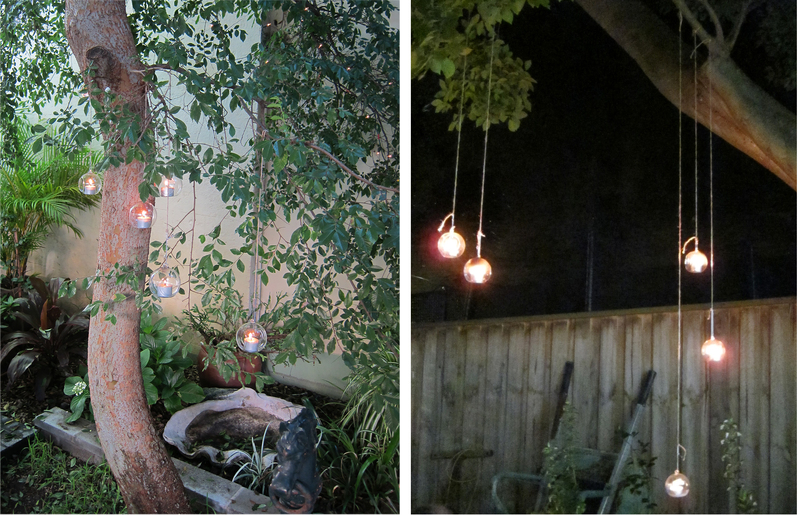 I’ve used them sitting on an outdoor table (they’re flat at the base), I’ve used them indoors (to light up a corner where I didn’t have a table with candles on it and to create ‘layers’ of candlelight at various heights) and, of course, they’re perfect for outdoors to hang in trees (or, in my case, off balcony railings)! 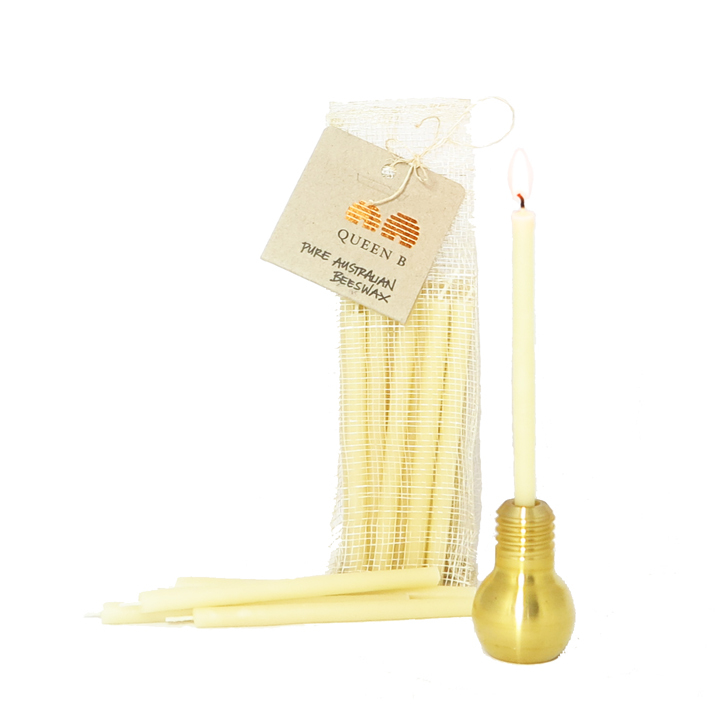 Offer 2 (exclusive to blog followers and newsletter subscribers) – For every 5 Teardrop Candleholders you buy, we’ll throw in a box of 5 x 4-5hr Beeswax Tealight candles in clear cups (that’s the one in the photo) – so you get 10% off the teardrops (saving around $7.50) and the tealights for free (saving a further $14.95 – the equivalent of a further 20% off). This second offer is only available to those of you who follow us (either on the blog or by getting our newsletter). So that we know you’re in the know, you need to mention “Free Tealights please” in the comments field when you check out. No mention at the time of ordering, no free tealights. No arguments! Again, this offer expires at 11.59pm on 27/11/14. 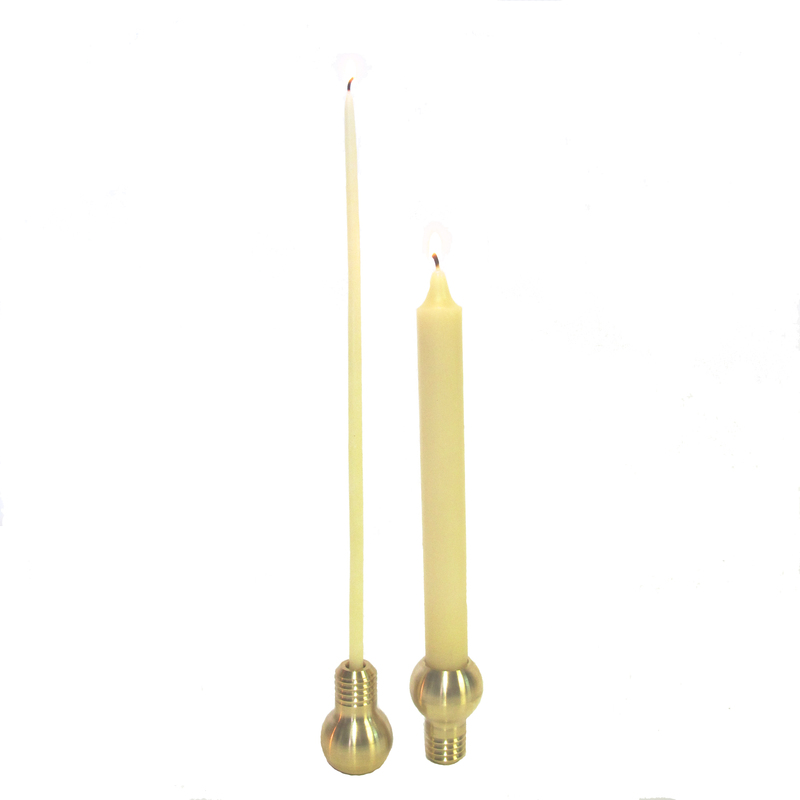 We’ve been working on something special for Advent this year and we commissioned a local artisan to make these limited edition, solid brass Lightbulb Candleholder which we’ve teamed up with a pack of 25 Advent candles each of which burn for over an hour. 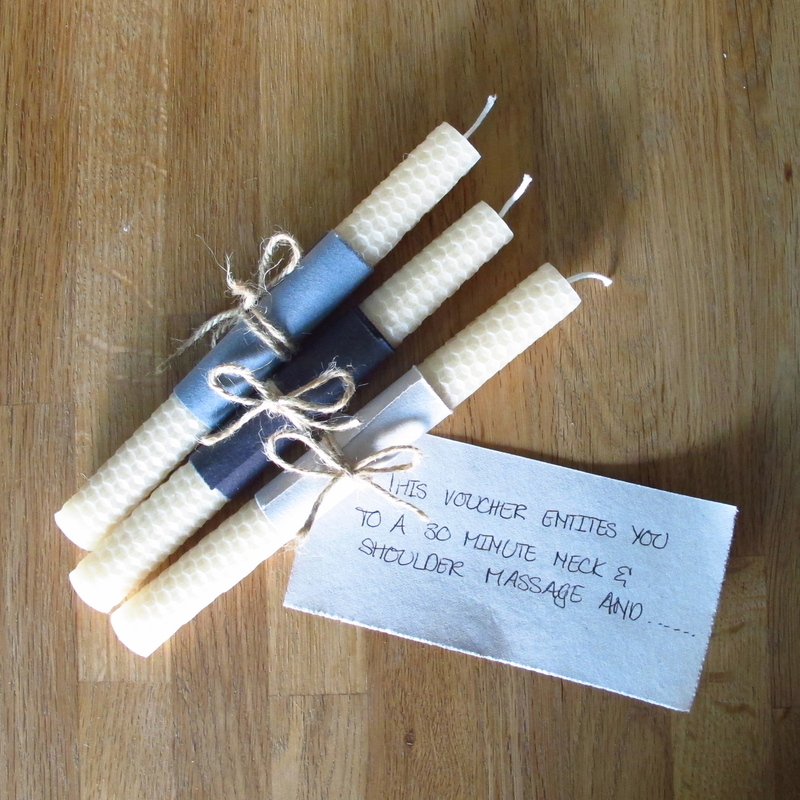 Valued at over $70, we’ve got 50 Advent candle packs available for $49.95. 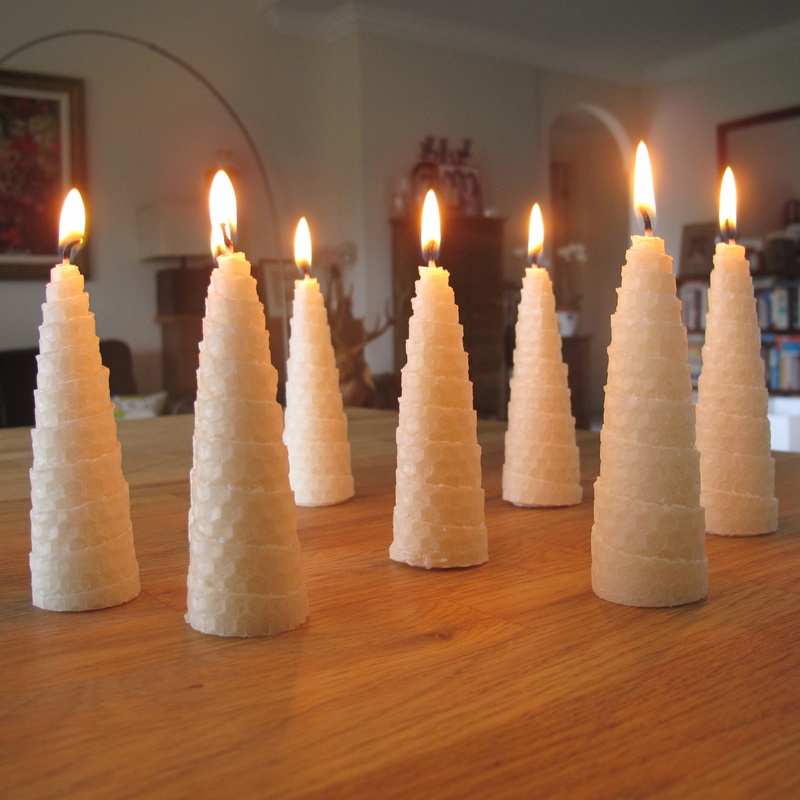 If you prefer to make your own holder (the candles are about the width of a Philips head screwdriver so any fruit or vegetable stabbed with the screwdriver will make a holder), we’ve got pure beeswax Advent candles in a pack of 25 available here. 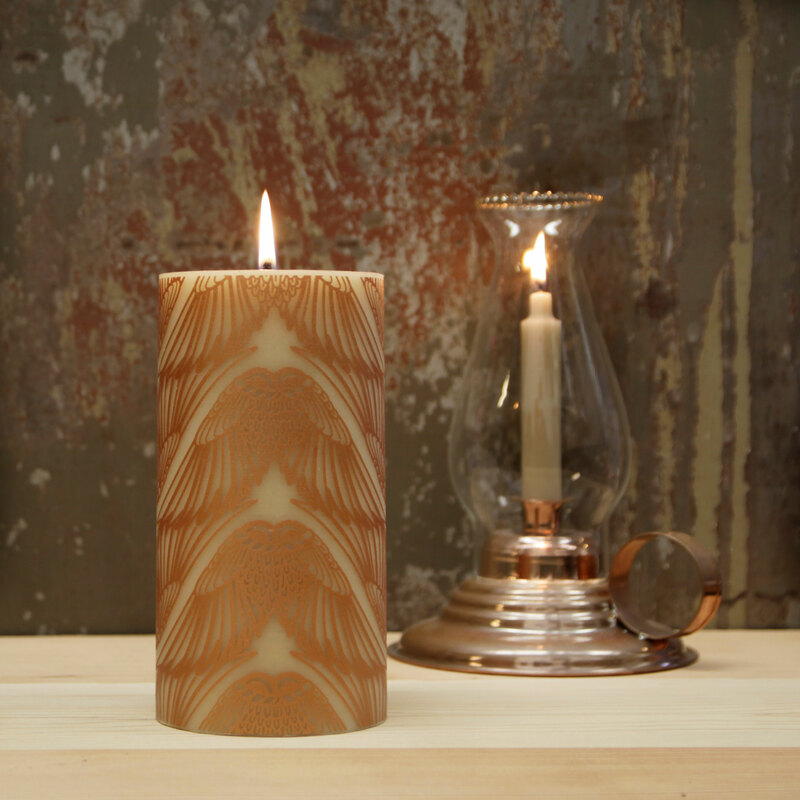 This beautiful brass lightbulb candleholder is made from solid brass. 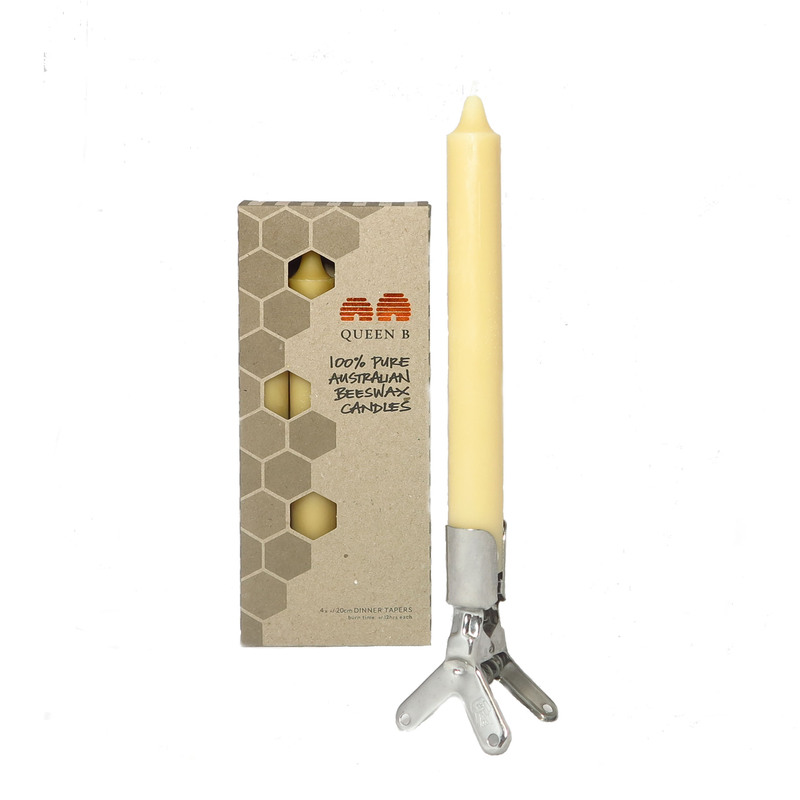 It is designed to hold a Bee Light or Advent candle in the top or can be reversed to hold a taper candle in the base. The beauty of this holder is that it will be relevant all year round. Here’s to enjoying a natural and sustainable Christmas! 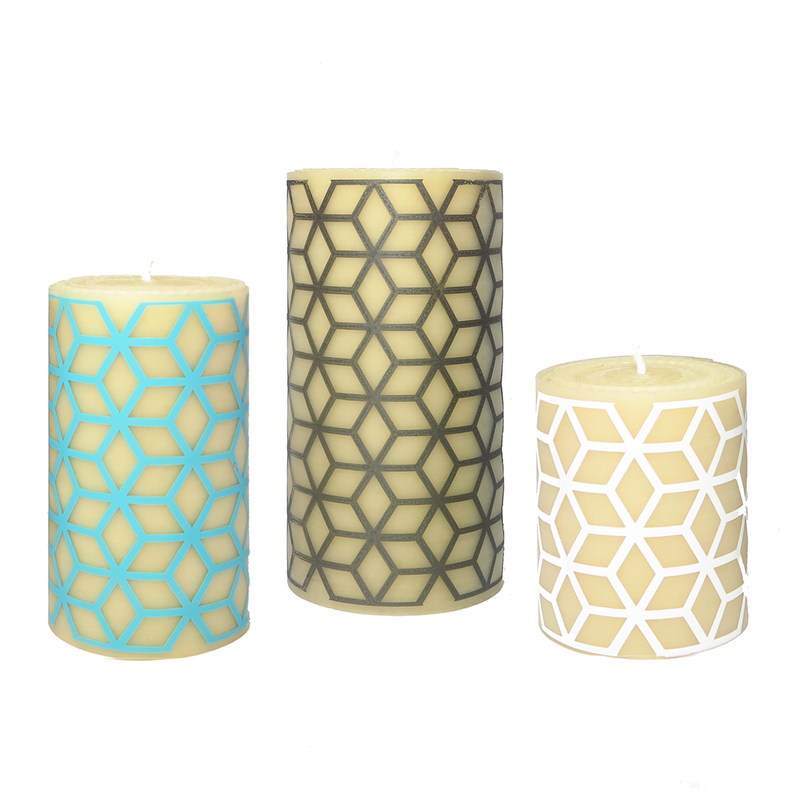 With our holders hand crafted in Australia and our candles hand rolled and hand poured here too, you can celebrate the difference you’ll be making to many people when you use Queen B candles to light up your festive season or to give as gifts. Now it’s just up to us to keep coming up with things that are completely unique, great value and exceptional quality. My go to source of light most evenings are our beeswax dinner candles and Bee Lights. 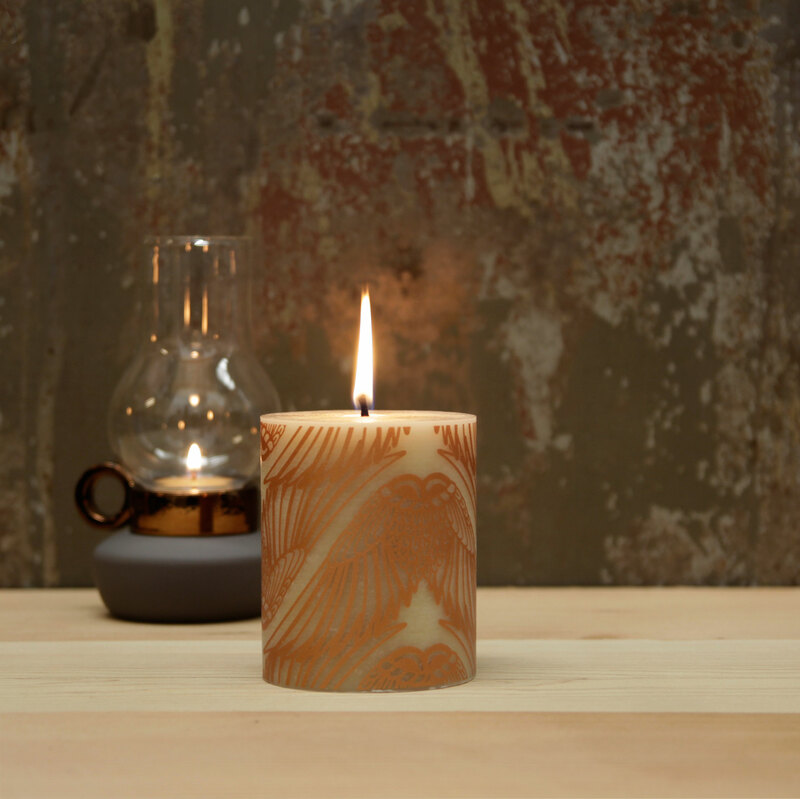 A great, economical source of light and with the flame front and centre, a great source of calmness and tranquility. 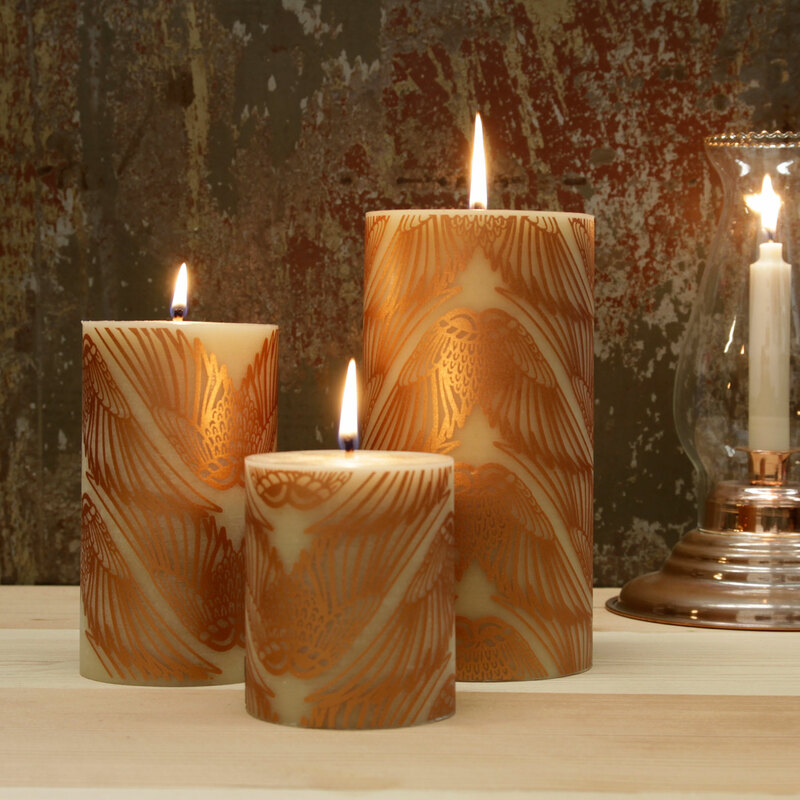 So, I’m always excited to find new, stylish candleholders for taper candles… and we’ve got lots of new ones to show you. 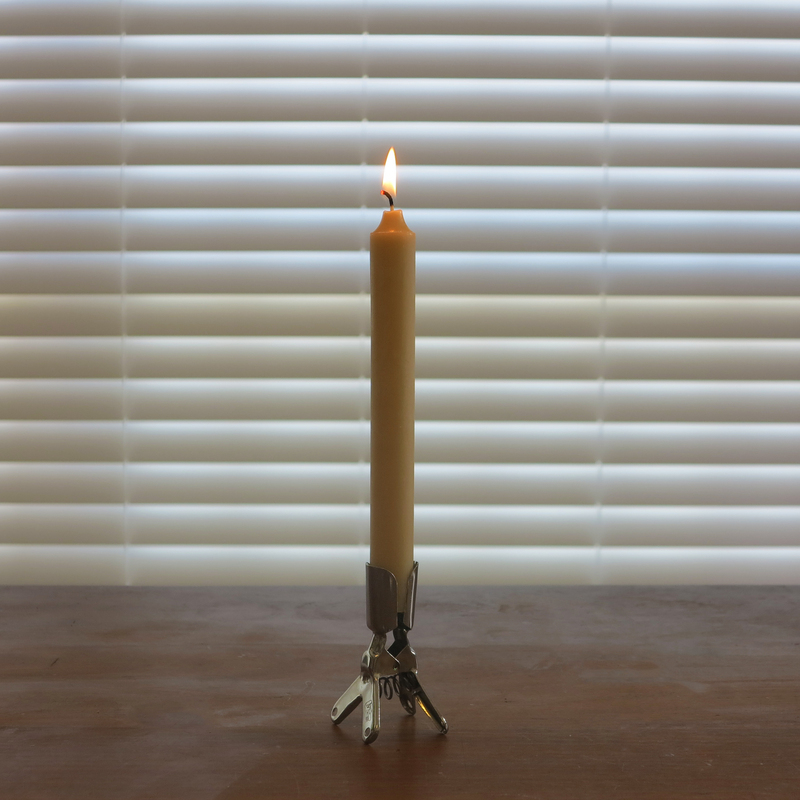 Firstly, our “Clippy” candleholders. A few months ago when we tidied our stationery shelves Sarah found out about my bulldog clip fetish (I think there were over 500 clips in different shapes and sizes). Imagine my excitement then to find Clippy. Stylish yet practical, it takes up little room on a busy dining room table. 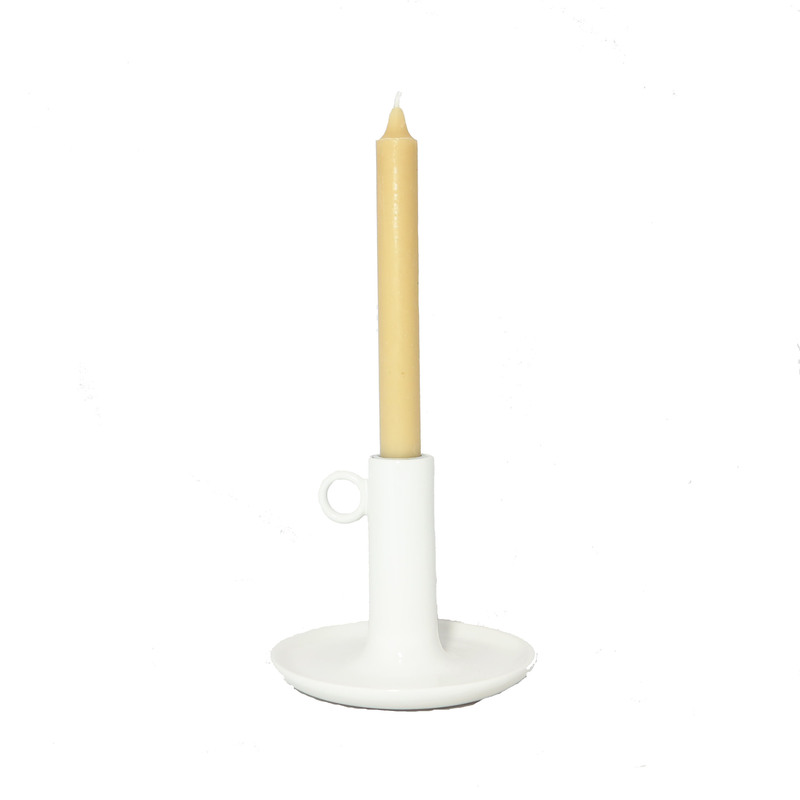 Industrial looking, great design and designer aesthetic – all rolled into 1 smart candleholder. 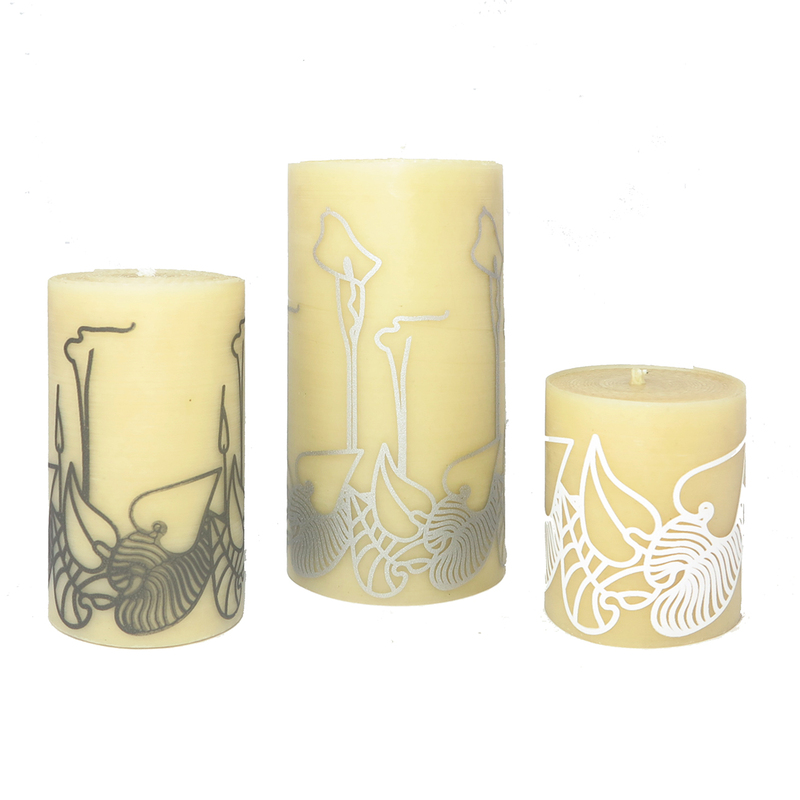 You can find Clippy on it’s own in Candleholders on our website here ($12.50 each), or, we’ve put together a Clippy + Tapers pack for $34.16 which is a 10% saving. 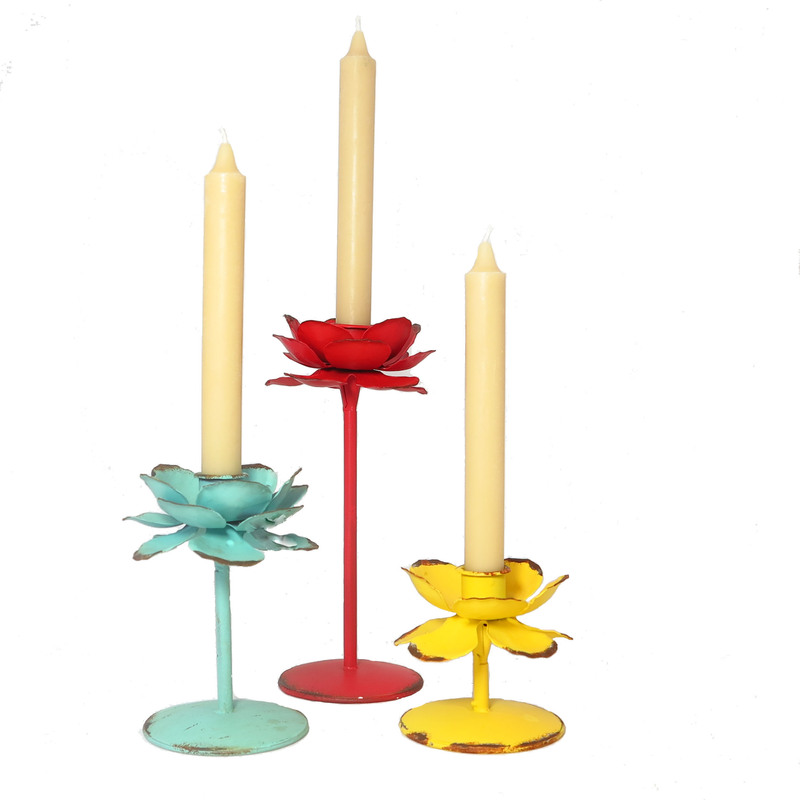 If you prefer a splash of colour, these metal, flower candleholders are just gorgeous. We’ve been discussing whether they are iceberg roses, ranunculus or magnolia so we thought perhaps just “flowers” would be safer! Or you can get all 3 with 10% off here. And just in case that wasn’t enough loveliness, we also recently found a new white ceramic Wee Willie Winkie (to complement out brass and copper Wee Willie Winkies). 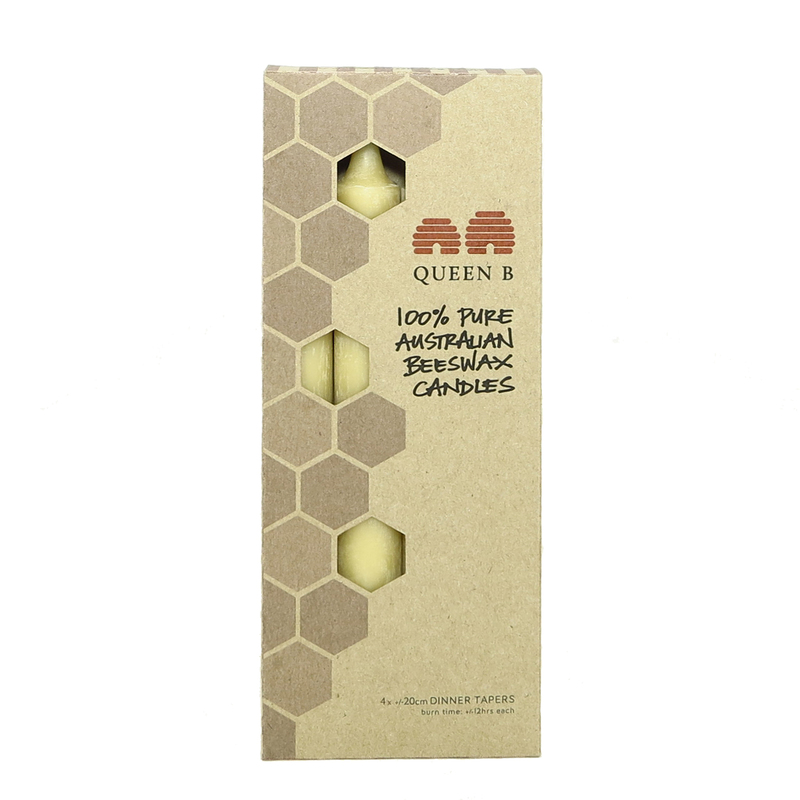 If you’ve followed Queen B for a while, you may have noticed that we’ve been progressively rolling out new packaging. I can’t bear waste, so we’ve been updating the packaging as and when we run out of the old. 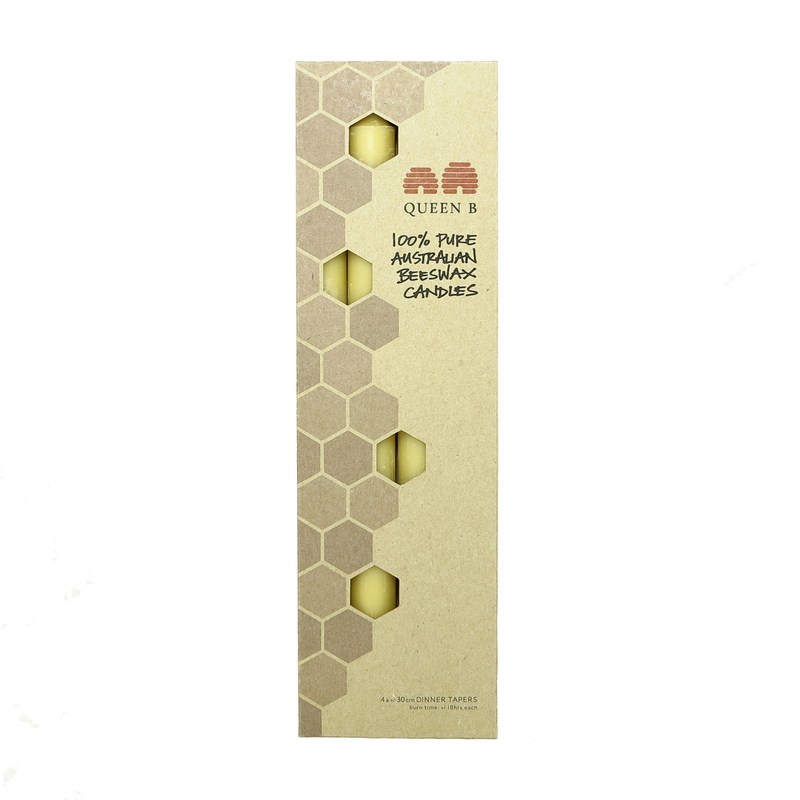 The newest packaging to be done is our Dinner Candle / Taper packaging. There’s lots of lovely ways to light up your life daily with beautiful, natural, bee created light… cheaper than electricity. Wow! What an amazing response. Thank you so much to everyone who took the time to vote. Turns out you’re a clever bunch agreeing entirely with the eminent judging panel and also picking my other favourite! Yes, that’s right, we’re going to be launching 2 new designs. The winner of the design competition is Nectar by Bec Cooper. We’ll be announcing the launch date and the chosen colour/s within the next couple of weeks. This year voting was incredibly tight and interestingly there were different, clear winners depending on where the voting happened. The other clear favourite was Lily by Melissa Nalder, so we’re planning a launch for that too! We’ll be making launch date and colour announcements shortly. A big thank you again to design luminaries, Louise Olsen and Stephen Ormandy for their time and sharing their expertise and insight in judging this year’s finalists. I have found it rare to meet people so talented and successful who are so down to earth, generous and caring. Thank you again for sharing your thoughts. It is only with your feedback and involvement that Queen B can continue to create light that is loved by the community we seek to serve.